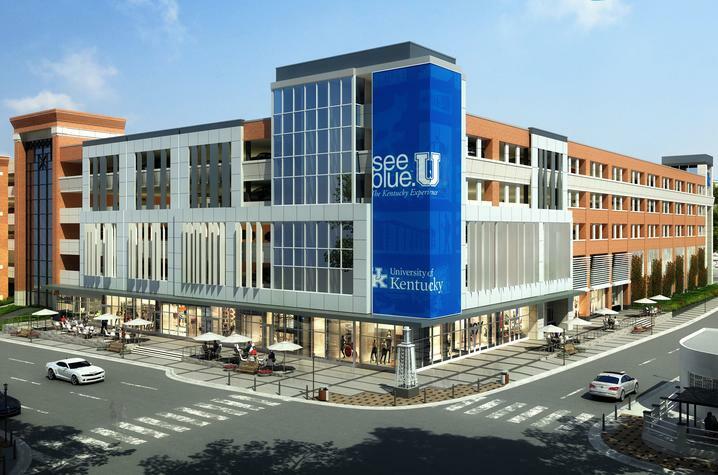 LEXINGTON, Ky. (Feb. 22, 2019) — The University of Kentucky announced Friday steps to re-imagine a critical piece of property to establish an innovation corridor and significantly expand parking for the campus. UK Executive Vice President for Finance and Administration Eric N. Monday told members of the Board of Trustees that demolition would begin in March on the property that formerly housed Kennedy’s Bookstore and Fazoli’s (the corner of South Limestone and Winslow Street along Winslow to the South Upper intersection). Beginning demolition on the site in March. Moving forward with a pre-development agreement the university has with Signet Real Estate Group, a company with offices in Florida and Ohio that specializes in higher education, health care, and public-private partnership development projects. Completing design of the property with the goal of completing construction and opening the new six-story facility, matching the height of the current Limestone parking garage, in August 2020. – innovation space that could house an app development technology partnership and/or an e-sports initiative and program for students. 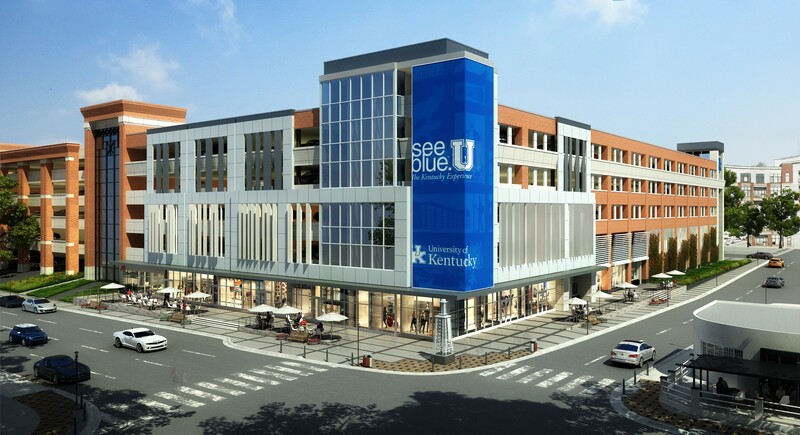 And, utilizing a multi-story external media wall that will be an addition to the university’s smart campus digital signage efforts, allowing UK to provide timely information and updates to the campus community. UK Transportation Services has made great progress implementing the TMP in recent years, including award-winning investments in alternative transportation such as buses, bikes, pedestrian improvements and innovative financial incentives, as well as the construction of well over 2,000 new parking spaces since 2015. The addition of more than 900 parking spaces through this project will further improve mobility to, from and around campus for students, faculty, staff and visitors. The innovation space, Monday said, is essential as it aligns with further development of the area, including the Reynolds Building for the College of Design and existing space nearby for the College of Fine Arts. Collectively, Monday said, the corridor could “help anchor our role at the intersection of cutting-edge technology developments as well as how we are partnering with the city to invest in the adaptive re-use and re-imagining of historic properties. Signet Real Estate Group, a Signet LLC company, is a full-service development and project management firm in the areas of higher education, health care, research and public-private partnerships. The company transforms complex development challenges into collaborative opportunities through a creative, flexible and customized approach. Since the firm’s inception, Signet and its family of companies have successfully managed and currently have in progress more than $4.5 billion in real estate development and construction throughout the U.S. More information on Signet can be found at www.signetre.com.